Yuxiang is a carved stone flowerpot fabricator both for interior and exterior decoration. We designs and carves hand carved, ornate, solid large flowerpot and planters for residential and commercial applications. Product line: carved stone flowerpot, large flower pot, carved stone vase, stone garden planters, marble vase, granite vase, garden flower pot, etc. These carved stone vases have gained immense popularity worldwide as major export items. 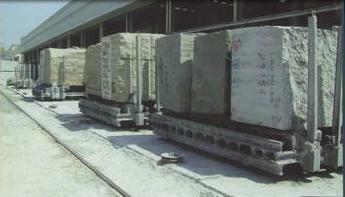 We prefer to hand carve our entire product with the best quality of solid marble travertine limestone and sandstone. By carving by us directly, we offer a competitive price with the look and feel you get with only true various natural stone. If interesting in our vase, please contact us with your designs or photos for a free quote. A carved stone flowerpot or large flower pot or carved stone vase is an open container, used for holding flowers or for ornamentation. Carved stone flowerpot are very ornate artifacts that enhance the elegance and beauty of the decor. They are highly durable and weather resistant. 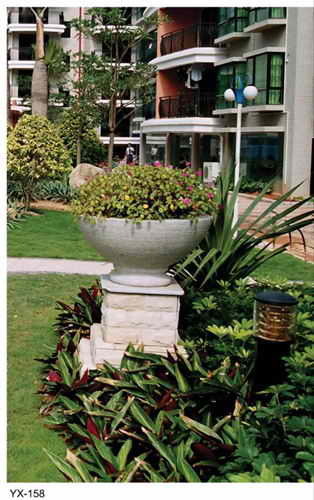 The large flower pots serve as decorative pieces specially used to display the plants and flowers together with a splash of exotic flower colors and plant greenery. Available in a variety of sizes, designs and styles, the large flower pots are sure to look new for years to come. They make exclusive gifts as decorative accents. The different colors of carved stone vase include: black, white, green, yellow, brown etc.